All prices are ex-showroom India. Service packages available cover unlimited km for the GLA and start at Rs 49,000 for the GLA 200 and Rs 63,000 for the GLA 200/220d. Prices previously for the SUV ranged between Rs 33.1 lakh and Rs 36.2 lakh (ex-showroom, Delhi). Not a lot. In terms of aesthetics, the baby Benz gets a new front and rear bumper that gives a more SUV-like appearance. Mercedes has also ditched the old bi-xenon headlamps in favour of an all-LED setup, and the taillamps get revised detailing as well. Notably, there's a new 'Canyon Beige' paint shade and new 18-inch alloy wheels too. Step inside, and there is one change worth talking about. The infotainment has been upgraded to an 8.0-inch unit that now supports Android Auto and Apple CarPlay besides offering satellite navigation. Other minor changes include a re-detailed instrument cluster, different choice of upholstery shades, 12 ambient lights and a splash of chrome detailing on the centre console. Space on the inside remains identical to the outgoing version, and so does the 481-litre boot. 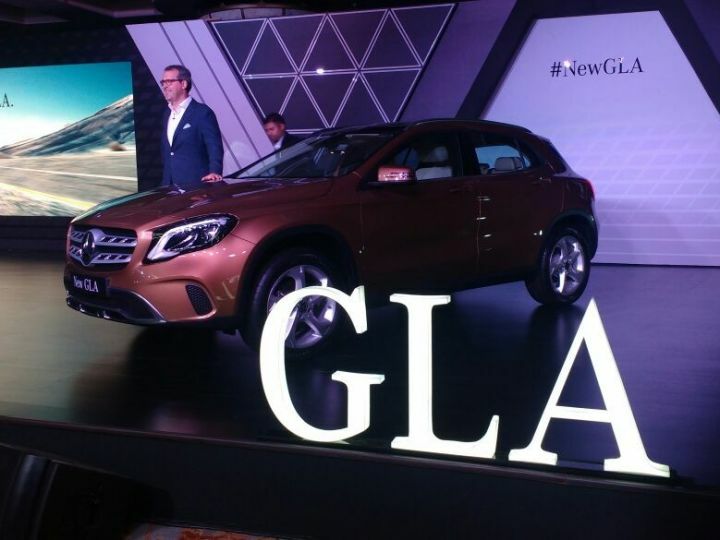 The updated GLA borrows the same 2.0-litre petrol and 2.1 litre diesel engine from the outgoing version. Outputs remain unchanged at 184PS/300Nm (GLA 200) and 136PS/300Nm (GLA 200d) respectively. The four-wheel drive (or 4MATIC in Merc talk) version churns out 170PS and 350Nm from the same diesel engine. Both engines are paired with a 7-speed dual clutch gearbox. The Mercedes-Benz GLA goes up against the recently updated Audi Q3 and the all-new BMW X1. But, it also faces heat from the recently launched Volkswagen Tiguan. And, finally, by virtue of its price, it has landed up squarely in the Fortuner/ Endeavour territory as well. Carving out a spot for itself won't be easy, but the refreshed GLA doesn't look like it'll go down without a fight.